Take a look at these three bedrooms. Which one looks like it’s been tidied up using the KonMari Method™? If you guessed “D,” all of the above, you’re right! Do you remember the show Trading Spaces that came out in 2000? 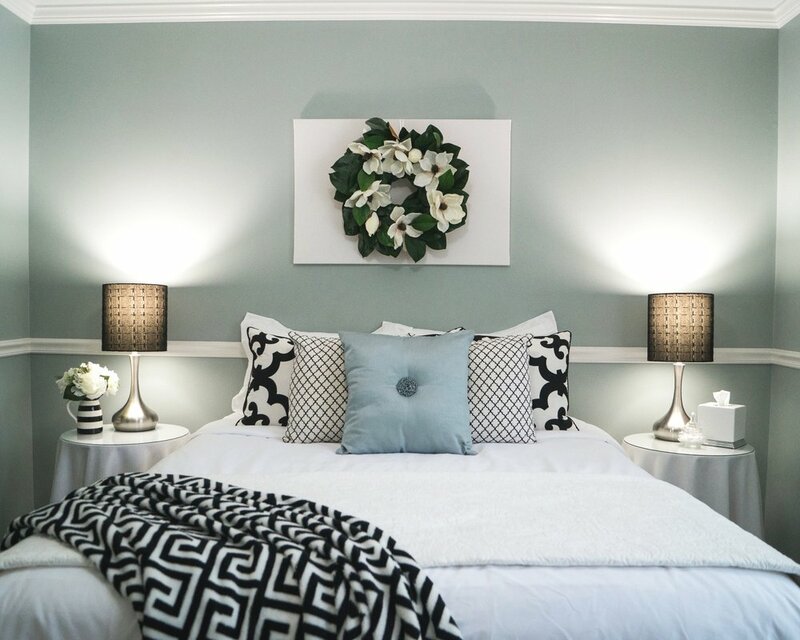 Two couples would trade homes, and with the help of a “designer,” transform one of the spaces in the other couple’s home. We used to love watching it, but always felt really uneasy when certain designers were in charge (looking at you Hildi). We knew the space they designed would reflect the designer’s outlandish taste, not necessarily the taste or desires of the homeowners. We gasped as they glued straw, flowers, and moss to walls, and put sand on someone’s floor to make a “beach” room. The poor homeowners (I know it was just TV, but still). I remember one episode in particular - the couple who lived in the home hid some of their treasured possessions in the basement. The designer found the silver candlesticks that were used in the couple’s wedding, and spray painted them bright blue. The woman was in tears. I sometimes wondered if I ever became an interior designer, would I have the same inclination to make everything look the way I wanted it to look? And honestly, it was in the back of my mind as I became a KonMari Consultant. Would I subconsciously try to make people’s homes look like mine? My style leans towards a minimalist, Scandinavian look. Would I be struggling against my preferences as I guided my clients in their decision-making? It’s been a year since I launched my business, and I can say that I absolutely love working with people to make their home exactly what THEY want it to be. It’s been gloriously fun working with people who’s styles are vastly different from mine. I appreciate and admire their decorating choices, and am incorporating some of their ideas into my own home. If I tried to make everyone’s home look like mine, I would be bored out of my skull by now. Variety is definitely the spice of life. And it’s been so much easier than I expected to help people with their style, whether it’s like mine or not. It’s simple - I encourage them to keep what they love, and let go of the rest. What they keep is what they should surround themselves with. And it’s exhilarating to see what emerges from beneath the clutter. It’s like one of those art kits we had as kids - you scratch off the dark covering and discover the beauty underneath. All this to say- you do you, boo! Uncover and display the treasures that reflect you and it will be gorgeous! If you want help finding the buried beauty - give me a call! I love treasure hunts! Our church is hosting a Good Friday service tonight and we’d love to have you join us if you’re in Little Rock! Happy Tidying and Happy Easter! 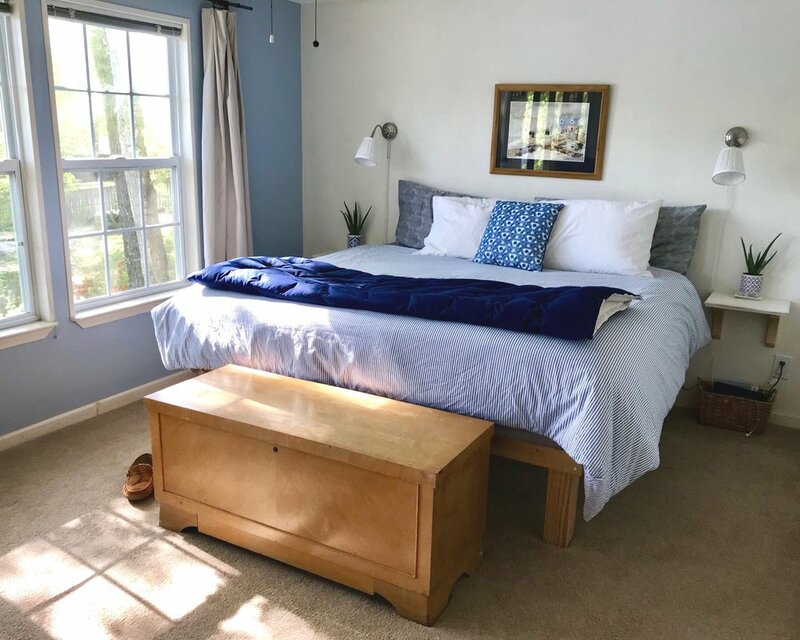 If room #3 looks especially welcoming to you and you’re passing through Little Rock, our friend Jennifer has it listed on Airbnb. Sue Fehlberg is Arkansas’ only Certified KonMari Consultant. The KonMari Method™ can help you organize not just the family household papers, but all the papers your kids bring home as well. The general rule of thumb in all of this is to make the process as simple as possible to maintain. When I finally went through all our files using the KonMari Method(™), it was like a huge weight was lifted off my shoulders. I ended up with a massive pile of papers to shred and recycle, and burned some others in the backyard. It was glorious! If any category is life-changing, it’s this one! I love having people in our home. I always think “the more the merrier,” and I believe that people are almost always eager to accept invitations to hang out. I think sharing a meal with someone is the best way to get to know them. And having that meal in your home where they can relax is even better. For the record - Marie Kondo does not say you can only keep 30 books. In The Life-Changing Magic of Tidying Up she says, “I now keep MY collection of books to about thirty volumes at any one time.” So you can relax, y’all. A lot of people find discarding items wasteful, but it’s an essential part of decluttering. So what can you do? This week’s Tidy Friday features some ideas about letting go of things in a more eco-friendly manner and making an effort to be thoughtful when you purchase. If you’re struggling to let things go without regret, you’re not alone. Part of the KonMari Method is making sure you declutter with gratitude. In today’s post, we give you some guidance on how to let go with joy! It’s almost the end of the year, which for lots of people means setting New Year’s goals. If getting your home organized once and for all is a goal for you, I want to give you some tips so you’ll get started on the right foot. This Christmas, we’re changing how we give gifts in order to reduce clutter and increase good experiences. Gift cards are playing a major role, and we wanted to share some of our favorite local small business we visited for our Christmas shopping.